The power supply or excitation output is either a low-noise (<1 µVRMS) excitation voltage (2, 3.3, 5, 10 and 24 V) or an adjustable power supply (1.2 … 24 V), and can provide up to 200 mA of current (but never more than 1 W). 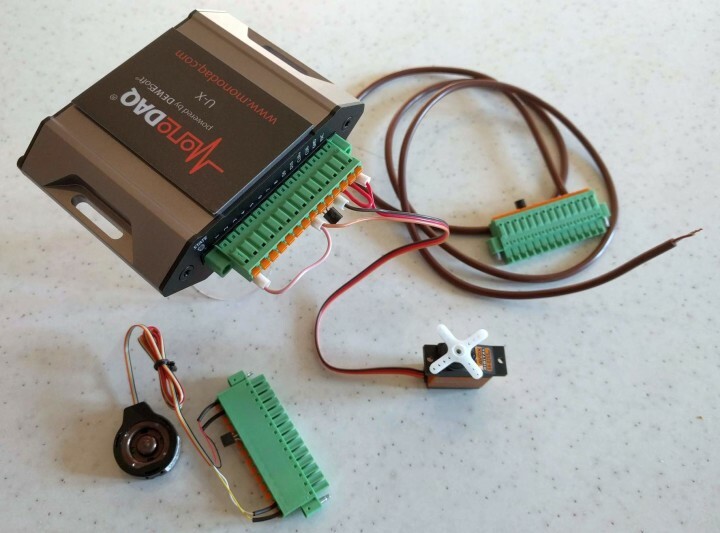 The MonoDAQ demo kit contains three preconfigured measurement connectors: a servo, a thermocouple and a load cell. The features mentioned above make it for instance possible to connect up to four thermocouples or two strain gauges at the same time. 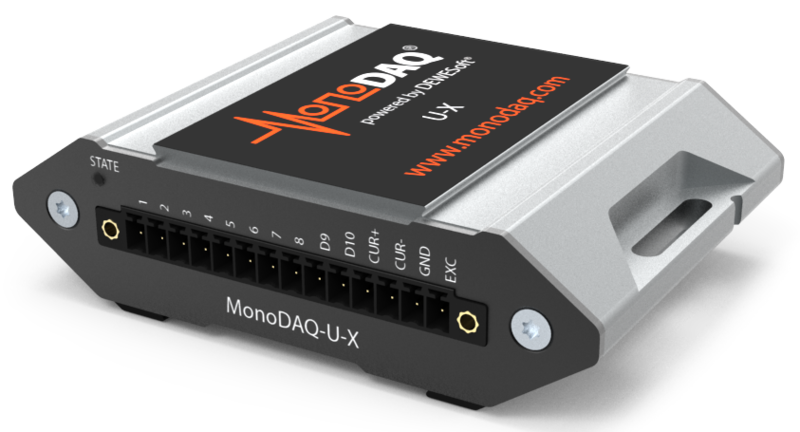 The MonoDAQ-U-X also contains a humidity and temperature sensor (to be activated in the DEWESoft device settings) and a 6-axis inertial measurement unit (IMU). The digital port (D9 & D10) makes it possible to connect even more types of sensors. Its built-in 1-Wire capability not only allows the connection of those popular DS18B20 (or the ‘S’ type) temperature sensors to the device, but it can also store configuration data inside 1-Wire EEPROMs (like the DS2431), a clever feature. An instrument like the MonoDAQ-U-X is not of much use without proper software, and this is where the product excels. It comes with a built-in LITE licence for DEWESoft, a powerful data acquisition, processing and visualization tool that addresses similar markets and applications as National Instruments’ LabVIEW, but with a different approach. Because the licence is built into the device, installation is very easy (at least the 64-bit version on Windows 10 that I tried). DEWESoft X3 features all sorts of data analysis tools that can be used in real time on the incoming data. The user can design his/her own user interface with various graphs. All that is required are a few mouse clicks. If the predefined functions are not suitable, mathematical equations can be entered and executed as well. Data can be recorded and exported to all sorts of file formats to allow further analysis and treatment in the tool of your choice. Besides recording data DEWESoft can also record video allowing to visually link data to events. 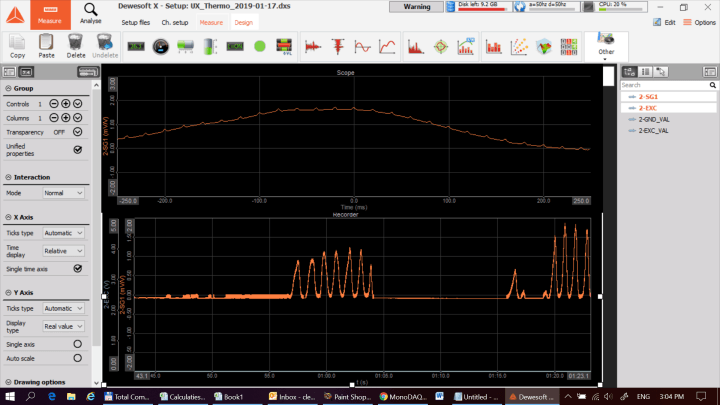 DEWESoft displaying data from a load cell captured by the MonoDAQ. The user can design his/her own interface, this is what I came up with. Tutorials and real-life application notes show in detail how to set up a system with a MonoDAQ-U-X and DEWESoft. A demo kit with a servo, a T-type thermocouple and a compression load cell is available to get a feeling for the device. The demo connectors from the demo kit use the 1-wire EEPROM-configuration-storage feature, making them easy to recognise by the software. Even though DEWESoft would be the preferred tool for most users, it may not be suitable in all situations. 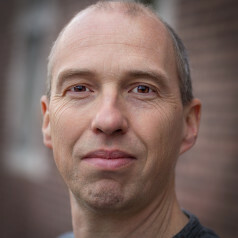 Platforms supporting Java (including Windows) can use the Isotel DAQ & Metering (IDM) tool — a Java-based configuration and recording software package — that will even run on Raspberry Pi and Android smartphones. IDM allows the MonoDAQ-U-X to be controlled in Python.